In this tutorial you’ll find instructions on how to create a Zap passing a message about a finished LiveChat chat to HipChat chat room. Choose HipChat as Action App. Then choose Send message as the action and confirm by clicking on Continue. 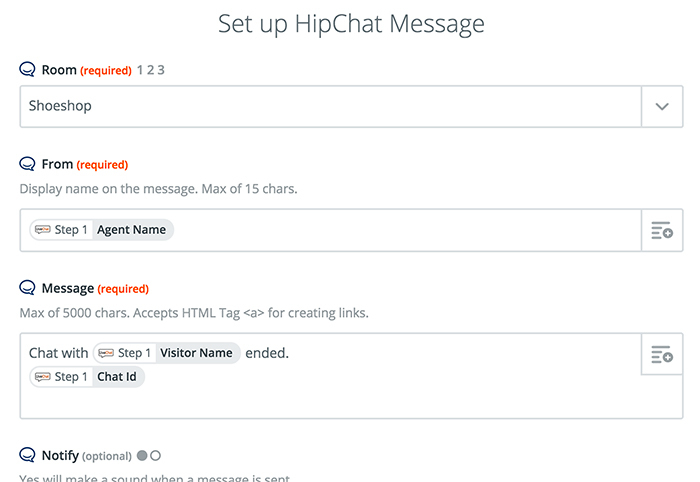 Grant Zapier permissions to access HipChat by providing your API key in the pop-up window. Select your HipChat account and confirm the choice by clicking on Continue. Next, decide which data will be passed to HipChat. Turn the Zap on by clicking on the grey switch and start passing information from LiveChat to Benchmark. Congrats! 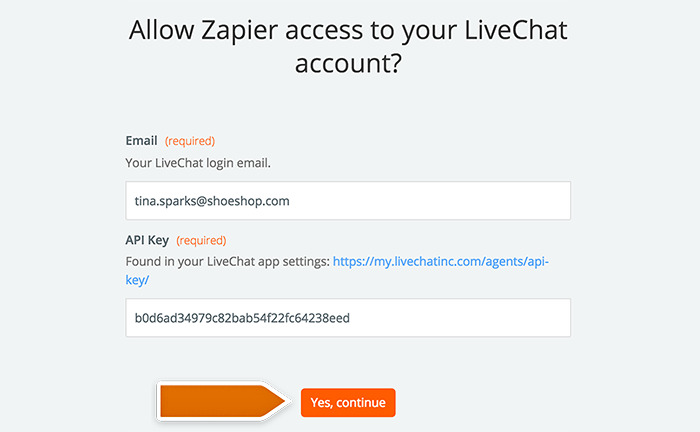 You have just linked your LiveChat with HipChat through Zapier. At the end of each chat, it will pass the info about that chat as a message in your HipChat room.